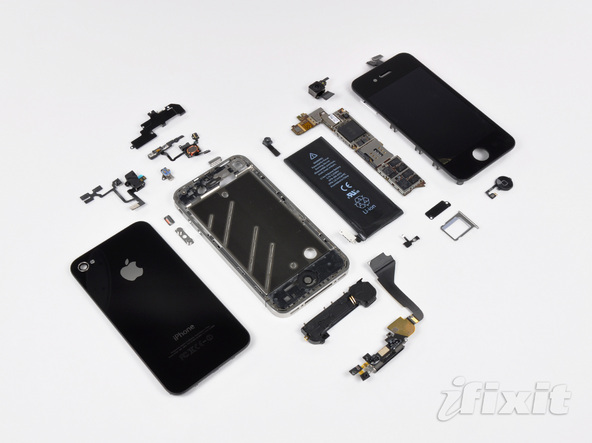 iFixit has done their normal teardown with Apple’s new iPhone 4 (seen in the image above). This week, it seems as if iSuppli has taken it upon themselves to value each part in the new device, which they claim equal a total of $187.51. iSuppli claims the most expensive part on the iPhone 4 is, unsurprisingly, its magical new retina display, estimated to cost around $28.50. Other elements of the device might cost much less than you expect, including the approximately $10 A4 chip, a 65 cent accelerometer, and a $2.60 gyroscope. These estimates aren’t too far off from past models of the device which were estimated at around $170-$180. However, these estimates do not give you an idea of Apple’s total costs, as they of course do not include distribution, advertising, and marketing costs. Another extremely large cost for Apple left out of the estimates, and arguably the Apple’s most important investment when creating the new device, is the cost of software development for iOS 4. A full breakdown of the estimated pricing for the iPhone 4 is posted below. 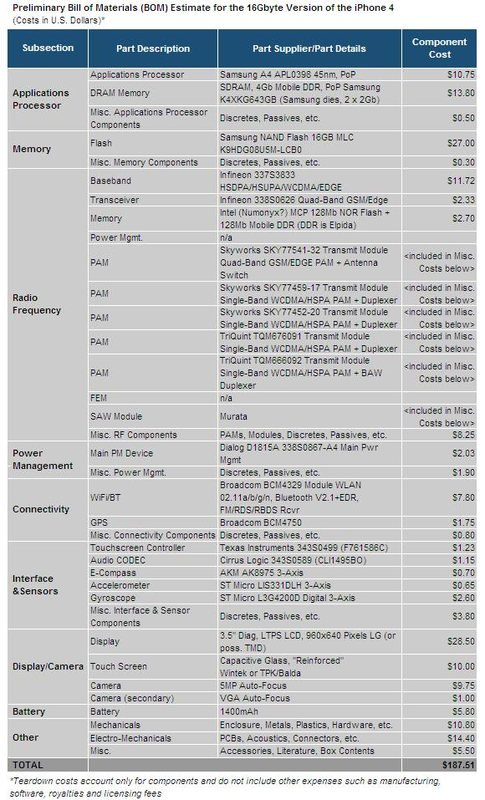 where can i get the logic board?